View of porch and deck with views of marsh and Atlantic Ocean. Master bedroom with king bed and amazing ocean views. 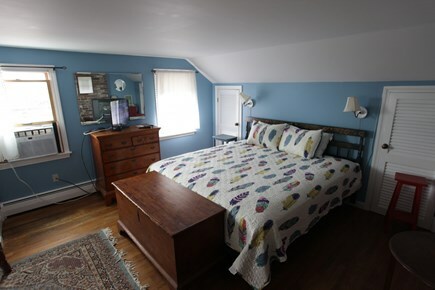 Upstairs bedroom, three single beds. 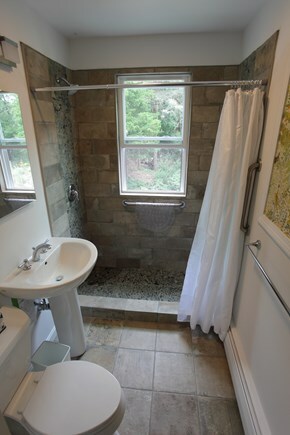 !st floor bathroom newly renovated. This four bedroom home is located in the sought after private Pochet community of East Orleans, steps from Nauset Beach. Located on one of the quietest dead-end streets in the neighborhood, enjoy views of the Atlantic Ocean while you eat or relax on the screened in porch listening to the waves crash. This charming 4 bedroom, 2 bath home is perfect for one or two families. 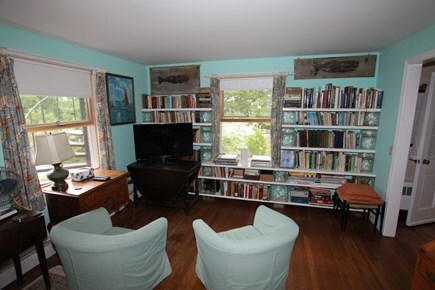 The house affords both ocean and marsh views from the screened in porch and upper deck, and is located only 2/10 of a mile walk down the road from the private footbridge that crosses over the marsh to Nauset Beach! Access to a town landing to launch kayaks or canoes to paddle in beautiful Pleasant Bay is also only 2/10 mile away. Main level has eat-in kitchen/ living area/ dining room/screened porch with dining table and 2 bedrooms (2 twins and double futon) and 1 bath. 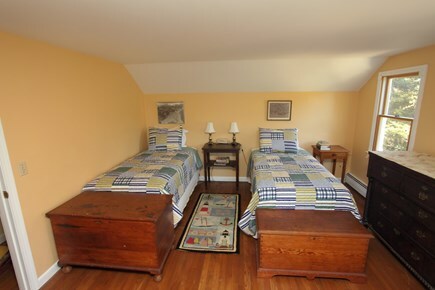 Upper level has 2 bedrooms with king bed and 3 twins and 1 bath. Amenities include: outdoor shower, ping pong table, beach chairs, gas grill, lawn games, wireless internet, and ample parking. NO Pets Accepted. 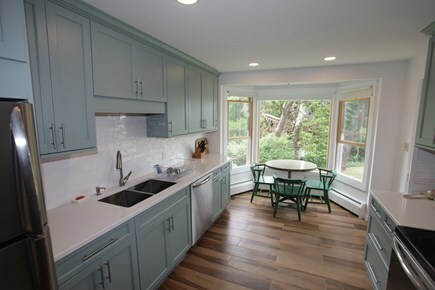 The house has been enjoyed by four generations of family owners and has a newly renovated kitchen and bathroom. 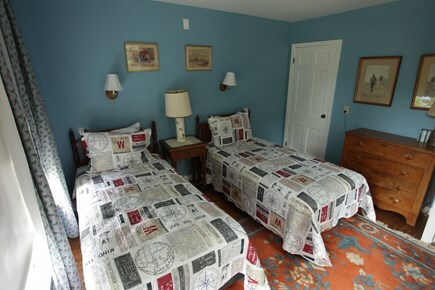 Additional pricing info: New MA Lodging Tax. State tax is 5.7%, not sure what the additional local tax will be at this time. State and local taxes of 12.45% will apply. The property has been in my family since 1977. First owned by my grandparents, my uncle who lives in Maryland is now the owner. My wife, Adela and I manage the property for him, and we have been renting the property in the summer for a number of years. We both live and work on the Cape, and I happily provide all the insiders information about scenic spots, good places to eat, and any other tips that might help you enjoy your visit. This property has been enjoyed by my family for over 40 years. Four generations have used this home. 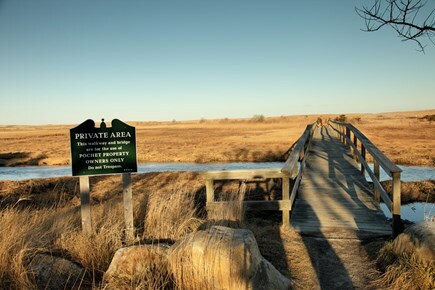 I grew up summering here my entire childhood, and because of the wonderful memories, now make Cape Cod my home. My son first walked in this house and I hope that his grandchildren will use it as well. 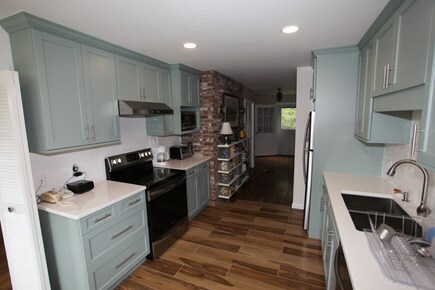 The house has recently undergone major kitchen and bathroom renovations. East Orleans is a wonderful quiet town. 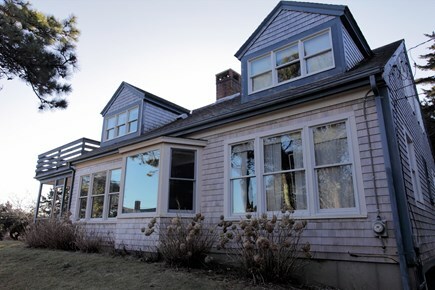 Situated in view of probably the nicest ocean beach on Cape Cod, the house is located in a quiet residential area with private beach access. There are many wonderful beaches, and boating spots around Orleans.